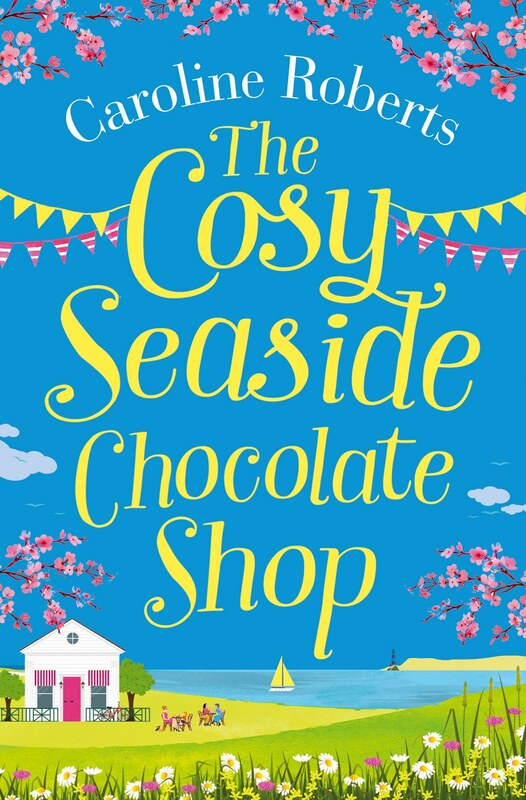 It's publication day of The Cosy Seaside Chocolate Shop and I'm celebrating all things chocolate! A couple of years ago, I was doing one of my first ever library talks with a grand audience of two people. 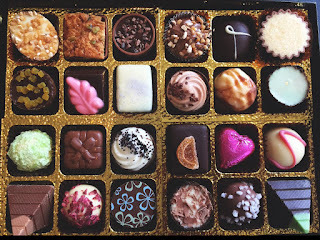 The wonderful thing was that one of those people was a chocolatier. In conversation that evening, the lovely June Carruthers said I could always contact her if I ever felt like writing about chocolate. Well then, that set the seed in my mind. When I wanted a new setting for my second series of Cosy books where better than a chocolate shop by the sea! I always say to write what you are passionate about and I'm certainly passionate about chocolate - it's such wonderful stuff and you can make so much with it: truffles, ice creams, milkshakes, brownies, cakes, croissants, cookies, all sorts of divine chocolates and more. So the research had to begin in earnest (it's a hard job but somebody's gotta do it!). June was so friendly and welcomed me to her home where we ended up having a chocolate making and tasting session. Next, I visited the fabulous chocolate shop and café Cabosse in Warkworth, in my home county of Northumberland, where I met and interviewed Louise Frederique a french chocolatiere. Her shop is so inspiring and quaint that the Chocolate Shop in the fictional village of Warkton-by-the-sea in my novel is based on that. It was Christmas time and the displays were wonderful - enough to make your mouth water. I have also chatted with The Chocolate Spa in Alnwick, Kiki's Chocolates in Coldingham and Bev Stephenson from North Chocolates. Huge thanks to everyone for their time, help and support. Chocolates, Fragile Hearts, Friends, Family & Fun at the Seaside! ONLY A WEEK TO GO! My next book 'The Cosy Seaside Chocolate Shop' is due out on 28th June in all e-book versions. (Paperback to follow soon on 26th July). 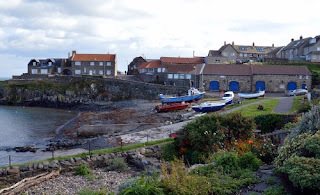 The story continues the adventures of chocolatier, Emma, at The Chocolate Shop by the Sea in the beautiful harbour village of Warkton-by-the Sea, Northumberland. The setting is inspired by my local villages of Craster and Warkworth, and our stunning beaches such as Embleton and Bamburgh here in the North East of England. So, what can you expect? A heartwarming story with a few extra twists in the relationship between Emma and the rather gorgeous Max, with work getting very much in the way for both of them, and a blast from the past with a new character, Nate. But as well as a few teary moments, there's fun and laughter with prosecco parties, walks on the beach, a food festival, chocolates, ice creams galore, and a new cosy courtyard for the summer season at the chocolate shop. Come on in and have some fun, meet some new friends, and escape to a fabulous chocolate shop by the sea for what I hope you'll find is a great summer read! I'll be back on the blog next week for launch day (yippee!) with lots of chocolate inspirations. A magical night at the RoNAs! Monday evening, 5th March, was The Romantic Novelists' Awards night at the wonderful Gladstone Library in London - and what a ball I had! I just wanted to share some of my magic moments from that evening. 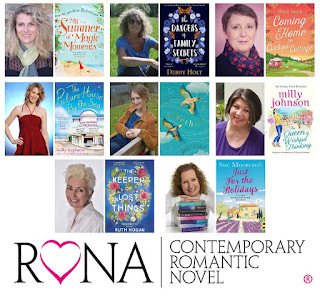 'My Summer of Magic Moments' was shortlisted for The Contemporary Romantic Novel of the Year, which was a huge honour. 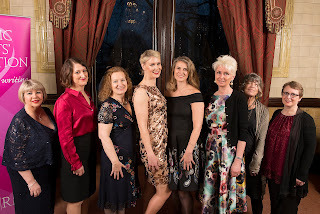 Here I am with the other fabulous shortlistees: Milly Johnson, Julie Cohen, Sue Moorcroft, Holly Hepburn, Me!, Ruth Hogan, Debby Holt and Heidi Swain. It was lovely to meet and chat with my fellow authors especially on such an exciting night. Huge congratulations to Julie Cohen - the winner of our category - with her book 'Together'! And to Dani Atkins the overall winner of The Romantic Novel of the Year with 'This Love'. 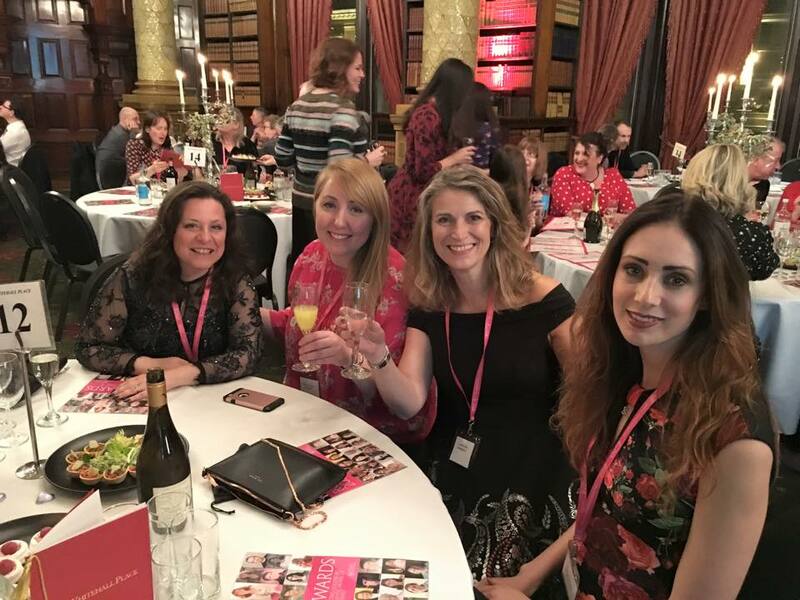 The support of my editors Charlotte Brabbin, Charlotte Ledger and the team at HarperImpulse, also my agent Hannah Ferguson has been brilliant. So it was special to be sharing the night with them! Thank you. 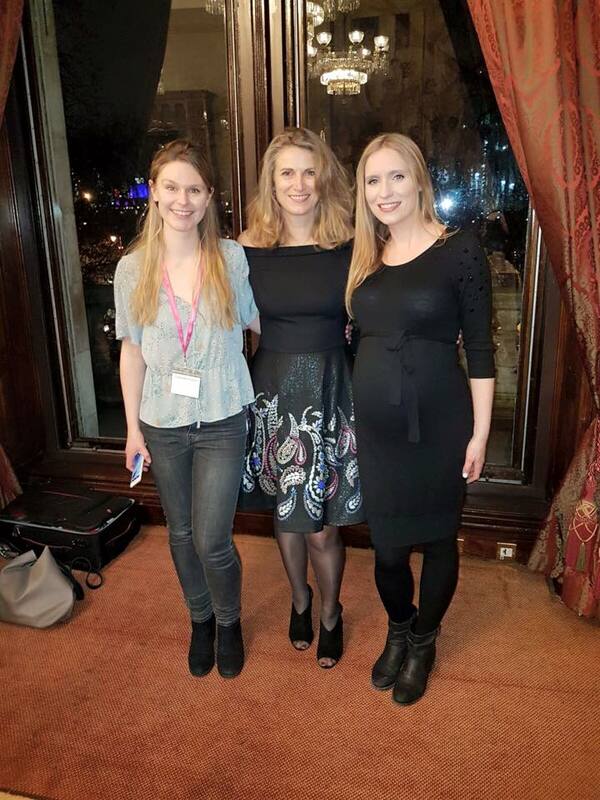 And, it was so lovely to have my daughter Amie there with me - celebrating my nomination and her birthday! 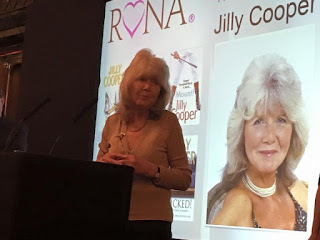 I even got to meet Jilly Cooper! Thanks to all my readers, the fabulous book-blogging community and anyone who has reviewed and enjoyed this book! It was a very special evening and a magic moment indeed! Curveballs, magic moments and a very special date! 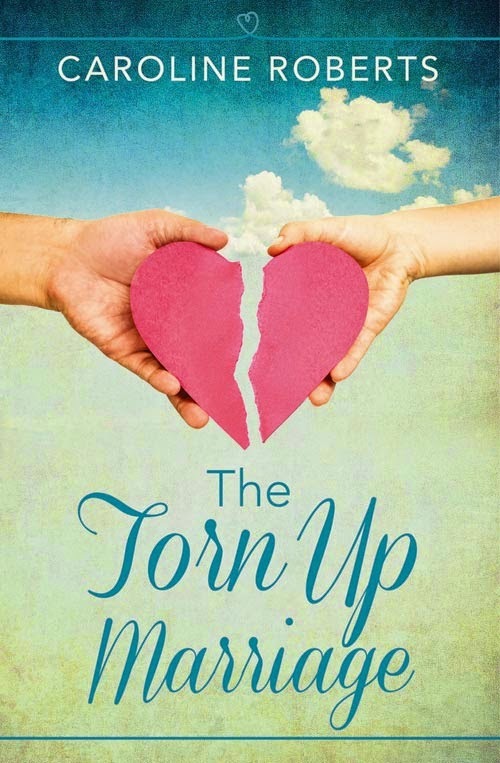 Three years ago, on the 5th March, my first novel 'The Torn Up Marriage' was published with Harper Collins after ten years of trying to get a publishing deal! 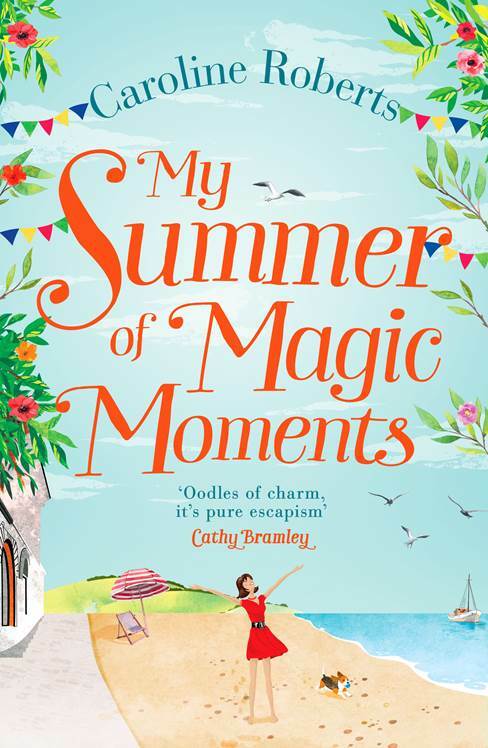 Tomorrow, yes the 5th March, I am going to The Romantic Novel Awards event down in London where my fourth book 'My Summer of Magic Moments' is shortlisted for The Contemporary Romantic Novel of the Year - how wonderful is that. Being shortlisted along with such talented authors is an honour in itself, and I feel so proud of my writing and the fact I stuck at it when it looked like I might never get published. It's also fabulous that the book is set in one of my favourite places, Bamburgh. Oh, and 25 years ago tomorrow my first child, my lovely daughter Amie, was born (that was after a miscarriage and two years of trying). So guess who's coming along to the award ceremony with me?! The 5th March is such a significant date in my life. It will be lovely to celebrate my shortlisting with my brilliant team from HarperImpulse and my fabulous agent Hannah Ferguson and to meet the other authors. So, despite the effects of the 'Beast from the East' blizzards here in Northumberland, I'll be braving snowdrifts to get out of our village, and with a limited train service currently running from my local station due to the snow, getting to London (300 miles away) could be challenging. But, I'm determined to get there to the awards! Life throws us all curveballs at times. Hard work, patience, perseverance, learning as you go, finding another way, and the support of family and friends helps you through, and despite all the ups and downs somehow hanging on to the belief that it's still worth trying. Keep striving for your dreams folks - you never know where it might lead you! All best wishes, oh and wish me luck!! I have some fabulous news to share today! 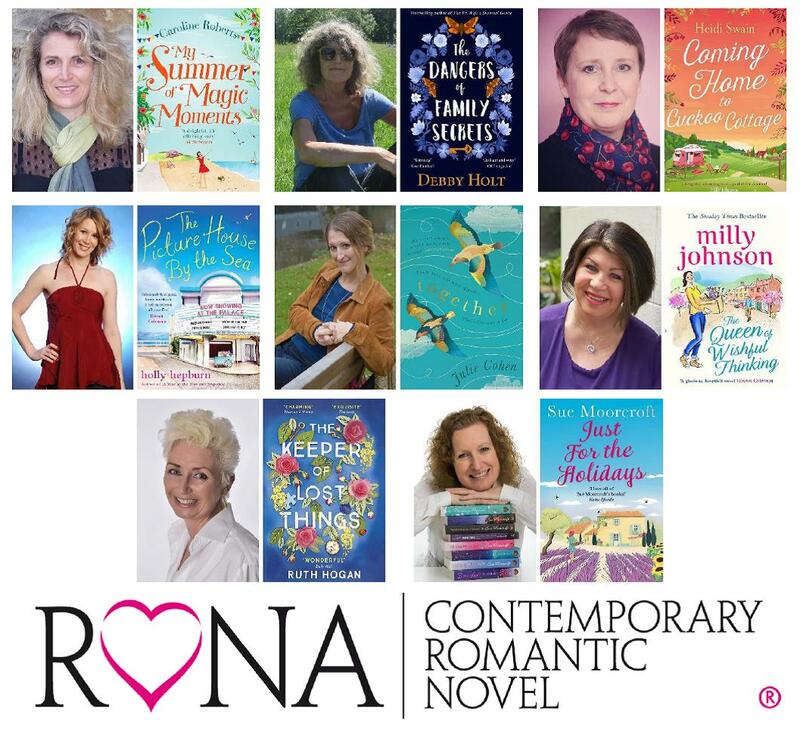 I am very proud and thrilled to announce that I have made it into the shortlist for the Contemporary Romantic Novel Award 2018 with my book: 'My Summer of Magic Moments'. This book has a very special place in my heart. The essence of it being that life can throw you massive curveballs at times, but you can still come back from that and learn to appreciate those simple, special, and beautiful moments in life again. It's about love and loss and ultimately hope. So here I am listed alongside some amazing authors! Congratulations to all of them too! I feel honoured to make the shortlist. Thanks to everyone for all their support on my writing journey this far. It just goes to show that with a lot of perseverance, some hard work and a passion for writing, your dreams really can come true! A very Magic Moment indeed! 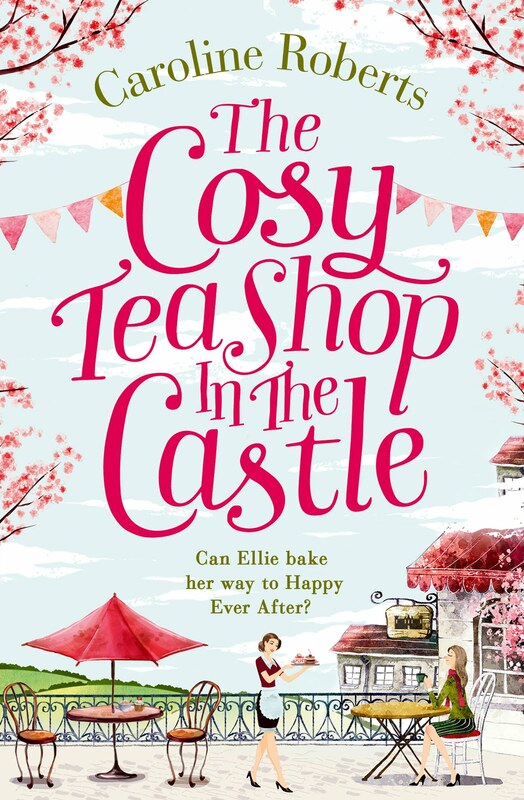 I have had a request to publish the Choffee Cake Recipe from my book 'The Cosy Teashop in the Castle'. I had great fun creating this cake, with the help of my lovely friend Julie - who really did run a castle tea rooms! So here it is. Happy Baking! You will also need 4 x 20cm (8”) round cake baking pans preferably non-stick, well-greased. With a circle of baking paper popped into the greased base. Turn oven on to 180C or (160C Fan). Put 6oz (175g)self-raising flour (sifted), 2oz (50g)cocoa powder (sifted), 1 teaspoon baking powder, 8oz (225g) caster sugar, 8oz (225g) soft margarine, and 4 eggs into a mixing bowl. Beat thoroughly with an electric hand whisk for about 3 minutes, until all the ingredients are fluffy and nicely blended. Pour equally into 2 of your prepared cake tins. Flatten mix a little with a pallet knife. Put 8oz (225g) self-raising flour (sifted), 1 teaspoon baking powder, 8oz (225g )caster sugar, 8oz (225g) soft margarine, and 4 eggs into a mixing bowl. Beat thoroughly with an electric hand whisk for about 3 minutes, until all the ingredients are fluffy and nicely blended. Add 2 tablespoons coffee essence. Pour into the other 2 of your prepared cake tins. Flatten mix a little with a pallet knife. Bake cakes for 30 – 35mins until nicely risen. Allow to cool slightly then turn out onto wire rack to cool totally. If they are a little uneven, don’t panic, once turned out just carefully slice any lumps or bumps away, so they will be able to lie nicely on top of each other! Melt the butter in a pan, add the cocoa powder, and cook stirring for one minute. Stir in the milk and icing sugar. Beat well until smooth. Leave to cool until thickened. Make sure the butter is softened, beat through the icing sugar and coffee essence (an electric hand whisk ideal for this again), until light and fluffy and well blended. Place a chocolate sponge on a circular cake base or stand. Take half the coffee frosting and spread carefully with a knife over the sponge, checking it reaches to the sides evenly. * Julie’s star tip - If the frosting is difficult to work with, lifting sponge and sticking to knife, have a mug of boiling water to hand, dip knife in every now and again and hey presto the frosting becomes easy to work with! Place a coffee sponge on top of that. Then spread with half the chocolate frosting. Layer another chocolate sponge. Spread with the second half of the coffee frosting. Top with a coffee sponge. Spread carefully with the remaining chocolate frosting. DO NOT COVER THE SIDES OF THE CAKE! We should see the layering. Top with chocolate curls made of both dark and white chocolate, and if you like them about 10 chocolate coffee beans dotted around the edge. Enjoy with friends! 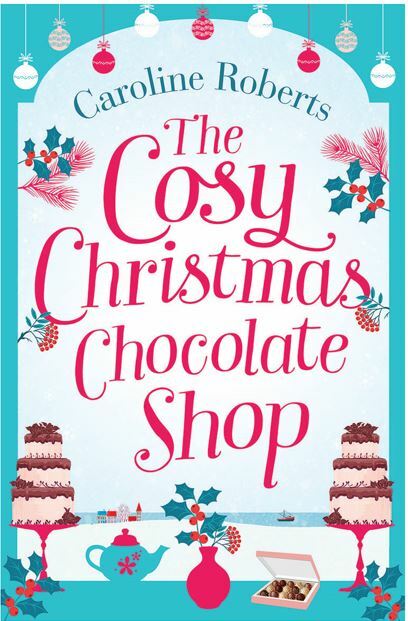 Come on in to The Cosy Christmas Chocolate Shop! Today is publication day for my fifth book - how wonderful is that! And I'm taking you to a fabulous chocolate shop in a fictional Northumberland harbour village, inspired by Craster and Warkworth. I had great fun researching all things chocolate for this novel, and the taste testings were just the best! The Chocolate Shop is inspired by the most wonderful chocolate shop/patisserie called Cabosse in the quaint village of Warkworth in my home county of Northumberland. It’s such a cosy, pretty stone-cottage building. Louise Frederique, the owner and chocolatiere was extremely friendly and helpful, answering all my chocolate-making and business questions. I also teamed up with a wonderful lady called June, who I met at one of my library talks a while ago for ‘The Cosy Teashop in the Castle’. She mentioned that she used to have a chocolate-making business, and we half-joked that a chocolate shop might be good to write about. I re-contacted her when I was working on ideas for this book. She kindly invited me back to her home, showing me how to temper chocolate and make truffles, as well as seeing some of the chocolate creations she had made, such as the filled ‘hat boxes'. The love story in this new book touches on grief, with the main character Emma, who has been hurt so badly, she is afraid to love again. I’ll not give too much away, but I really enjoyed writing Emma’s story. And of course, there's the lovely Max, who's a bit of a mash-up of Gerard Butler and Tom Hardy - are you with me on this?! It's festive, fun, heartwarming, and an ideal book to curl up with on a chilly winter's evening. I love writing heartwarming, emotional women's fiction - stories that explore our relationships, love, loss, betrayal and more... I live in beautiful rural Northumberland with my family and I enjoy taking long beach walks with my dog, Meg. Friends, family, cava, laughter, and tasty food, make for my ideal night in or out!